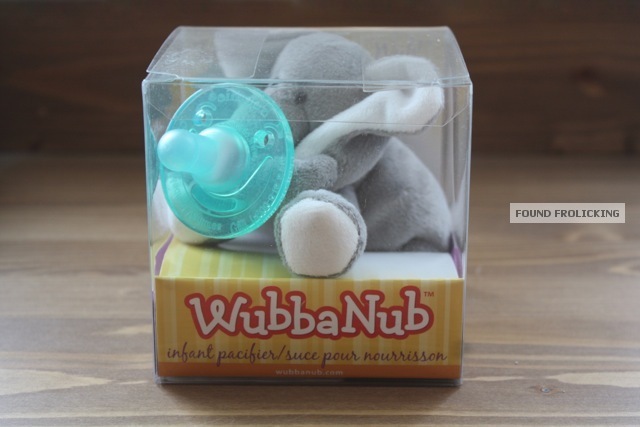 The WubbaNub (also called a "Wub" for short) are silicone BPA-free pacifiers, attached to a small cute stuffed animal. Before baby, I was really anti-pacifier. 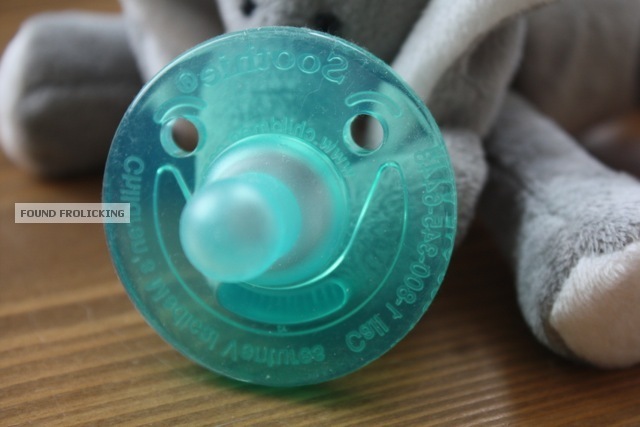 By all means, I didn't walk around judging moms who let their children use soothers, but I feared that my children would end up being like the occasional child you see, at least 4 years old, and using a pacifier. Enter baby. My son hated car rides from the start. The only peaceful car ride we ever had was on our way home from the hospital after he was born, and I'm pretty sure that was because he was so exhausted from his first day in the world, he had no energy to cry. We only spent a few days at home before our first trip into the big wide world with our newborn. Overall, the experiences were far easier than I expected (never seeing mothers with newborns out and about led me to suspect it must be a huge ordeal). Except for the car rides. They were so miserable, I never thought I could survive them. It was that painful to hear his little voice crying for me, and becoming obviously distraught when I didn't answer by giving him what he wanted. What's a mom to do? What this mom was to do, was go right to Babies R Us and look for a pacifier. I didn't know if it would work, but I did know it was worth a shot. Anything was worth a shot. If pacifiers were $100, I would have been willing to fork over that kind of cash just for a chance that it may make him feel better. I am not particularly careless with my expenses, either, so that's saying something. Luckily for me, pacifiers definitely aren't $100 a piece! It can be overwhelming to look at all the different brands and different pacifiers on the market, but, since I already owned some Tommee Tippee bottles, I decided I'd give their pacifiers a try, too. After sterilizing them, I gave one a try on our very first car ride. It worked like a dream. He looked at me while he sucked on his pacifier, and within 5 minutes, fast fast asleep. No fuss, no muss. He slept for the rest of the ride. I had finally found the key to tranquility during car rides. 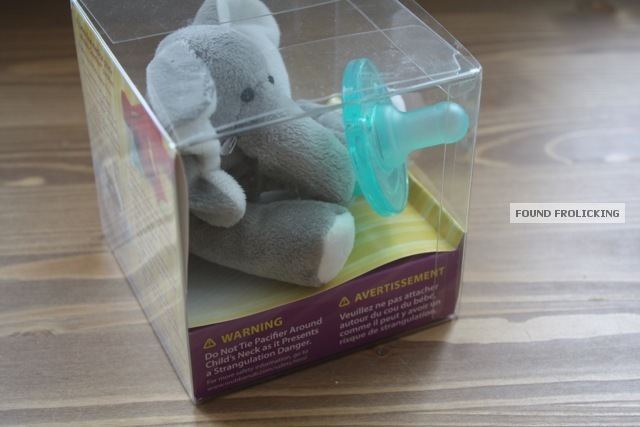 Within a few days, the Tommee Tippee pacifiers got on my nerves. The cute illustrations on the back were managing to scratch and peel off with only light use. We started using them in the house as well, since he seemed most content when he had something in his mouth at all times. But when he decided he was done with them, he'd spit them out. It didn't take long before we got tired of sterilizing them after they fell on the floor, so we went to buy Tommee Tippee pacifier clips. Pacifier clips came with their own set of problems. If clipped onto the shoulder of his shirt, it would irritate him when he tried to turn that way to look at something. When on his sleeve, he'd unintentionally jerk his hand away, and cry when the pacifier was tugged along with it and he was left without it. And when clipped onto the middle of his sweater, it still seemed to get in his way. He managed to jab himself lightly when he jerked his head forward while sitting, and he was so surprised it upset him. That was enough. The clips weren't working. But what else was there that I could do about our predicament? 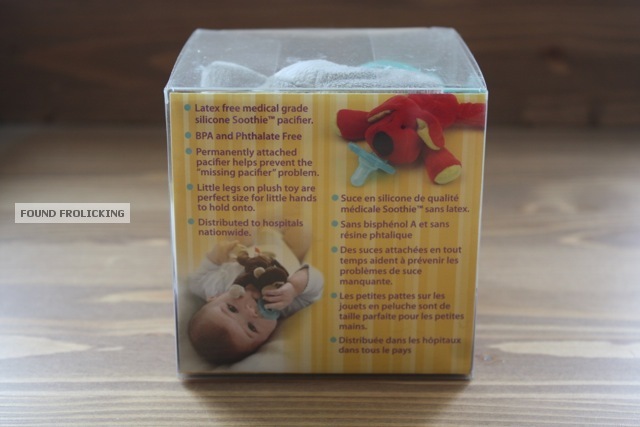 My mother told me about her co-worker who had bought a WubbaNub soother for her daughter. She loved them so much, she immediately ordered 6 more. If it was that great, it was definitely worth a shot. I checked out their website, and adored how cute the little animals attached to the pacifiers were! I located a local retailer that carried them, and off I went to inspect them in person. I returned home with the monkey WubbaNub. I immediately sanitized it, and then put it to the test! Baby E absolutely adored it. He immediately reached up and hugged the monkey, and happily sucked on the soother. Mission accomplished! 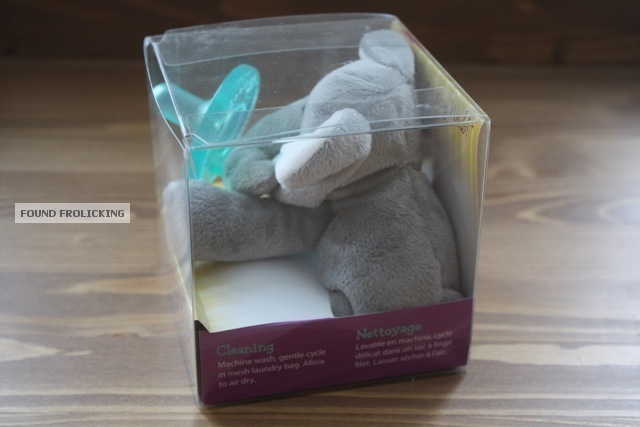 After a month of using it, the only problem I found, is that if I wasn't watching him, it could drop, and washing it can be a hassle since it is not possible to detach the little animal from the pacifier. The wash routine can be a bit of a pain, since it has to be washed on a gentle cycle in a mesh bag, followed by air drying. It can be spot cleaned or wiped for cleaning, as well. 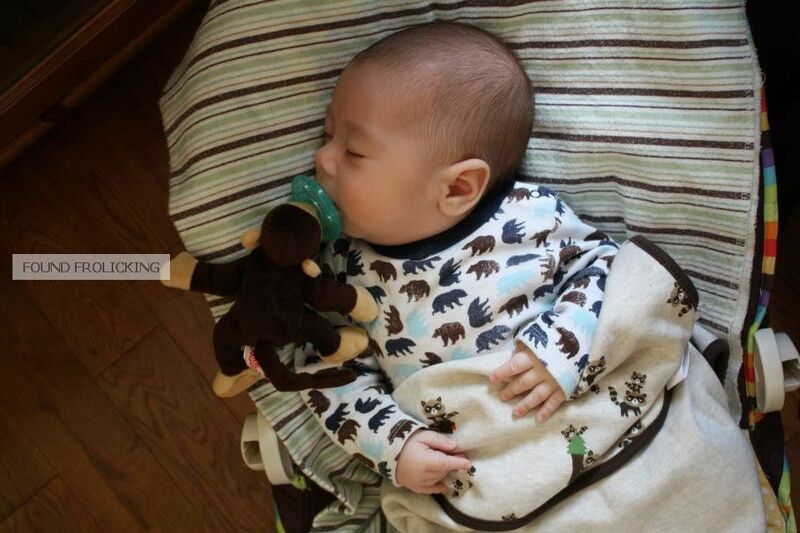 Since there's so much to this pacifier, my chances of catching it before it fell on the floor were much better. 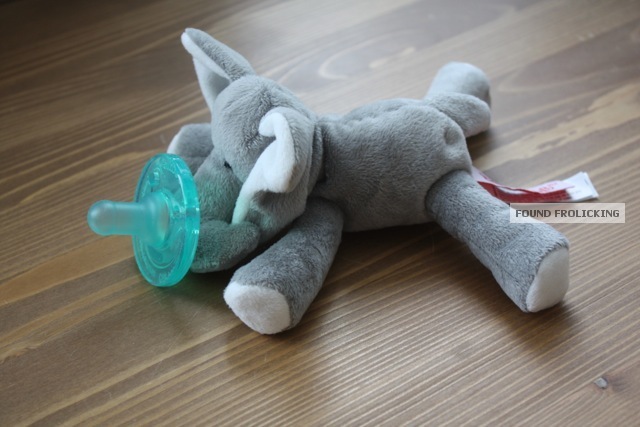 It's so lightweight, it never seemed to drag or be too much for Baby E. And, since the pacifier is silicone and the little animal is obviously soft, it wasn't possible for my son to hurt himself with it. Because of how big it is, it's also hard to lose. All in all, it's the most amazing pacifier product I've found! The WubbaNub is made to be used for infants from 0 to 6 months, but my son is now 7 months and still likes to use it occasionally. I wish they'd make a bigger one especially designed for older babies!!! I had somehow managed to lose the monkey WubbaNub during a visit to Babies R Us, so I had to go back to my local retailer to purchase another. 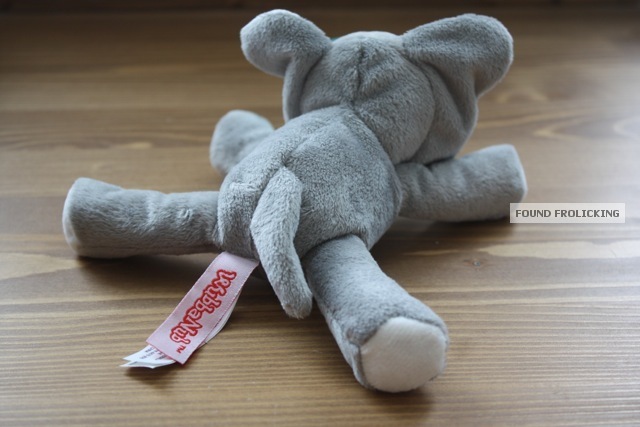 They were all out of the monkey, so I went with the adorable elephant instead. 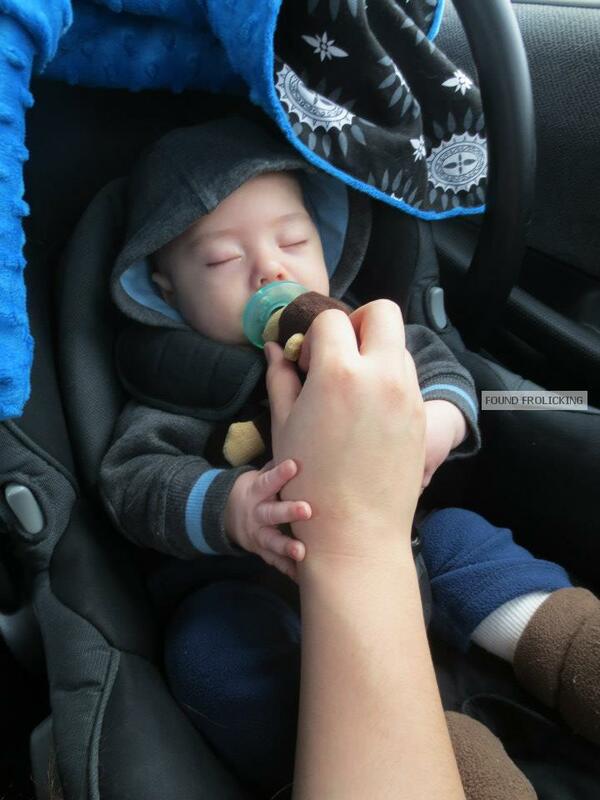 It is still an essential since, even now, it soothes him during car rides and during naps. This is one of the most important baby products I own! Below, you'll find pictures of the item itself, and pictures of my son using a WubbaNub over the months. If you'd like to buy one of your own, check out the WubbaNub site here! There are plenty of cute critters to choose from, such as a green frog, a giraffe, and a pink bear. Happy Wubbing! Disclosure: These were purchased by myself, and I was in no way compensated by WubbaNub. This review is not tied to the WubbaNub company in any way, and is a completely independent, honest review. How cute is this!! My son only takes a certain type of paci though! Great review! Thank you, Alex! 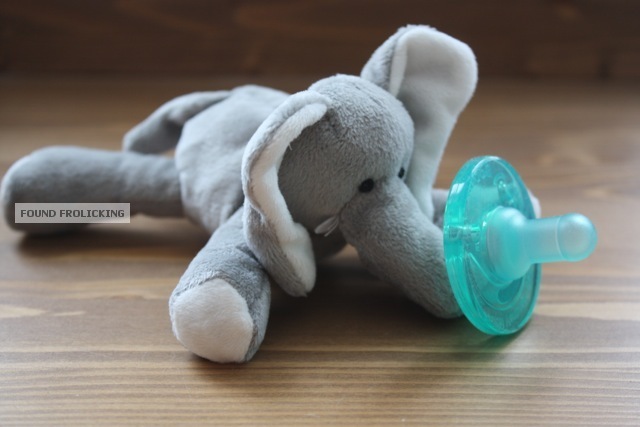 What type of paci does your little one use? What a cute idea and your little one is a darling! This is a very interesting product. I appreciate your review but I have a few questions. Babies spit up and drool.. Is there a way to clean the animal further than just a spot clean? Is it machine washable? Does the animal weigh down the pacifier so if a child is sitting up it would be difficult to keep it in their mouths? Hi Julie! Thank you---the washable issue was actually the one thing I forgot to add into the review! I will have to go back and edit it. When I looked it over, I thought I was missing something, and couldn't remember what. The things that happen when one has mommy brain! Yes! It is machine washable (wash inside a mesh laundry bag on a gentle cycle), and then you air dry it. Which means that it's best to have a few. To make 100% sure there isn't any soap residue, I always run the pacifier under the kitchen faucet, while I hold the animal firmly inside my hand so it doesn't also get wet. Other than spot cleaning that's the only way to clean it entirely. The animal is made very lightweight, I assume with that very thing in mind. I never had any trouble with my son dropping it from the weight, since he always seemed to like holding onto it, or he was actually latched onto it and that was strong enough to keep it from falling. Let me know if you have any other questions, and thanks again for the reminder about cleaning it! Thanks for the quick reply. You cleared all my reservations with this product and I hope I remember this product in December when our baby is due! Not a problem! Congratulations on your little bundle of joy!!! Interesting. I always saw these when my daughter was little and wondered about them! At least you had seen them before, that makes the idea less strange. When my mother told me about them, all I could think was, "What the heck is a WubbaNub???" But so glad I ended up giving them a chance! We're going to use a WubbaNub or something similar with our next child. 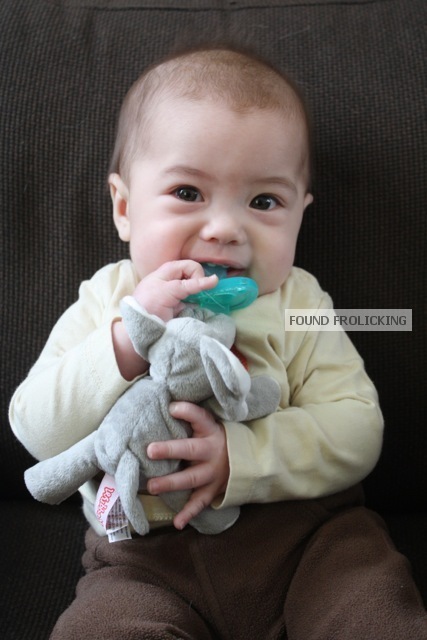 It was a pain to keep my son's paci in when he was little. BinkiBear is another brand. That one works with any type of paci, and you can remove it to wash. I haven't heard of BinkiBear! I wonder how the quality is, compared to the Wubbanub? I'm pretty iffy on baby products if they aren't made very well. I end up afraid they'll fall apart! These are SO adorable. My niece LOVES them. They're SO cute. Her FAVORITE thing in the WORLD. Thanks for stopping by and reading my review! So happy to hear of another little one in the world who gets as much joy and use out of the Wubbanub as my son! Wow, you're definitely set on WubbaNubs! 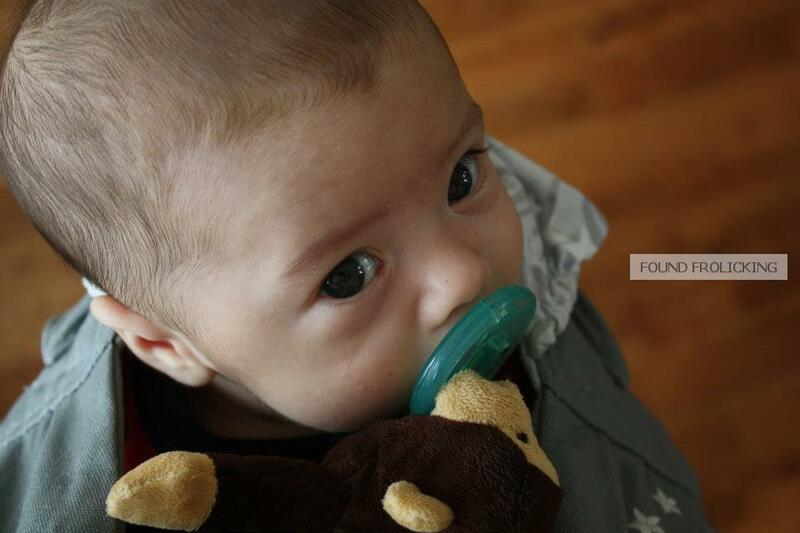 Every child is different, but my son had a pacifier at about 2 weeks, and that never stopped him from breastfeeding. Bottle feeding on the other hand... I waited until 8 weeks, as is recommended, and then pumped all the time except for evenings so my mother could feed him while she was visiting... after he left he only wanted the bottle except during the night! Luckily he's finally back to breastfeeding full time now, but I definitely wasn't expecting bottles to make such a big impact on him! Thank you for reading! And congratulations on your little one!!! July isn't far away! You must be so excited! im so excited but july seems like ages away right now, i dont have much to do anymore and ive gained so much weight im not very able anymore either so i cant wait to get her out lol, she'll be a great bday pressie for me and my husband as hes the 5th and im the 12th of july and our lil girl is due the 15th. Wow! They don't sell them in the UK? There's obviously some brand loyalty going on if some of your friends are willing to import them!!! I can't blame you though, if they weren't available here, I'd import them, too! I always talk about products I love, too! So we have that in common! I'd definitely stay away from the bottle if you can! It wasn't worth it. And if you don't have a nursing cover already, but want to get one, I love my Pashmama! It's more breathable and thin than some nursing covers, so I think it'll be great to use even in the summer. And it's cute to wear even when you're not nursing! I remember that feeling as well when I was pregnant! Our son was born about 3 weeks before our birthday, but your little one is due even closer to your birthdays! That's amazing! Try to freeze a lot of meals so you don't have to cook at least for the first few weeks. I didn't do that, and all I can say is we ended up eating frozen pizza for every meal for about a week. By that time I was so sick of pizza I had to cook just so we could eat something else! i have only got one nursing cover, its a beautiful crochet cover that an old lady made for me, but i would like another. although i'm really not shy, if i need to feed my baby and i cant cover up that's not something that's gonna embarrass me and if it embarrasses someone else they'll just have to look away. So glad to hear I could introduce this product to someone! Thanks for stopping by! My twins are 17 months old and still using their giraffe and monkey wubs! I don't was the entire thing that regularly. I wipe and wash the pacifier and just wipe the monkey/giraffe. That's great!!! I try to just wipe or spot clean when I can! But sometimes (like yesterday when I accidentally dropped it in mud while getting my son out of the car), it definitely has to go into the wash! Thanks for reading! thanks for that wonderful review..i just ordered online and expect it to be delivered tomorrow. i'm so excited for my little one! Your welcome! So happy that I could help! Thank you for reading! I hope you'll continue to read the blog!